While disasters can be unexpected, there are many ways to prepare before one strikes. September is National Preparedness Month, and we encourage you to educate yourself about emergency preparation, and take steps now to be ready. Here a few ways to become better prepared this September. If your family doesn’t already have one, make an emergency preparedness plan. All family members, including children, should have your plan memorized. Ready.gov is a great resource for guidelines, and family communication tips. In the event of an emergency; you could be without resources for an extended period of time. Having an emergency supply kit is essential. Below we’ve provided a checklist to reference when creating your own kit. Elderly family members, children and pets may have additional special needs which should be considered when preparing your kit. For example, special medications, games for children or pet food. Consider involving all family members when creating the kit, so everyone is familiar with the supplies. Store your kit in a safe and dry place that is easily accessible. Report outages and downed wires by calling 1-877-737-2662 or online at pepco.com, or by downloading our mobile app. For more information about emergency preparedness, please visit pepco.com. Weather can be unpredictable, but taking a little time to prepare before a storm strikes can help you stay safe and connected to information in the event of severe weather. We encourage you to review this information and take steps to prepare now. Assemble an emergency storm kit with bottled water, nonperishable foods, blankets, flashlights and extra batteries, a first-aid kit and hand tools. Be sure to stock prescriptions, special medical or infant supplies and other essentials. Then develop and practice an emergency plan with everyone in your household. If you rely on emergency or life-support equipment such as a respirator or kidney dialysis machine, our Emergency Medical Equipment Notification Program (EMENP) can provide advanced notice of severe storms and scheduled outages. Visit pepco.com/EMENP to learn more. If severe weather is approaching, charge cell phones and mobile devices, protect and unplug electronics and fill your tub if your water supply depends on electricity. Be sure to download our mobile app to help you stay connected to information. Restoring power safely takes time. Follow these steps to minimize the effect of an outage in your home. At Pepco, we recognize that some of our customers rely on life-support equipment that requires electricity to operate. We encourage these customers to sign up for our Emergency Medical Equipment Notification Program (EMENP). 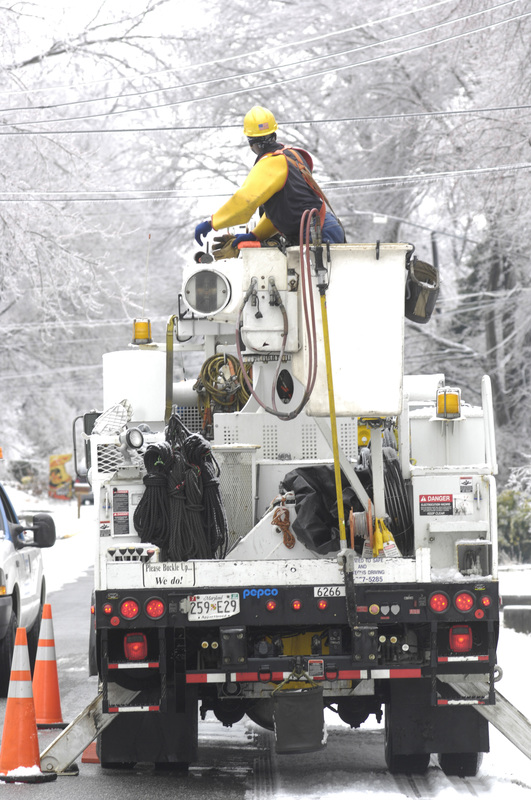 The program provides advance notice of scheduled outages and severe weather alerts to customers who depend on electricity for emergency medical and life-support equipment. Please note that since customers who rely on electricity to power life-support equipment are located throughout our service area, it is not possible to provide restoration priority to these customers following storm outages. In addition, the program does not exempt customers from disconnection of electric service for non-payment. Assemble a “storm kit” and include a battery-operated radio or television, flashlight, a first-aid kit, battery powered or windup clock, extra batteries, an insulated cooler and a list of important and emergency phone numbers. Check your supplies of medications, prescription drugs and any special health need items such as Contact lens supplies or infant supplies. Identify a location with emergency power capabilities, and make plans ahead of time to go there or to a health care facility during a prolonged outage. One alternative would be to ask a relative or friend who has power if you can stay with them. For more tips on how to prepare for emergencies, visit our EMENP page on our website. 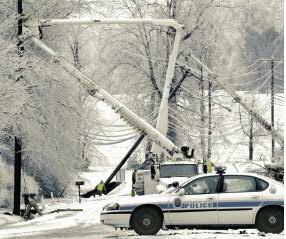 To report downed wires and life-threatening emergencies, call us at 1-877-737-2662 and follow the prompts.